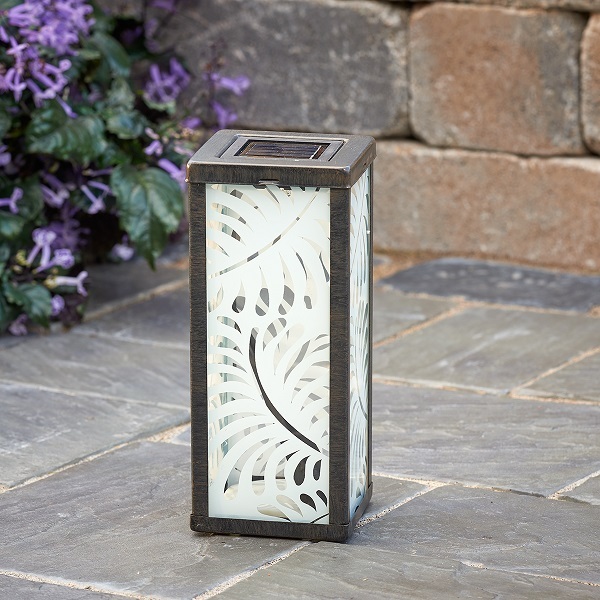 This decorative frosted glass solar lantern makes an eye catching accent piece for any outdoor deck or patio area. Powered by a discreet integral solar panel, it charges by day and automatically illuminates at night. 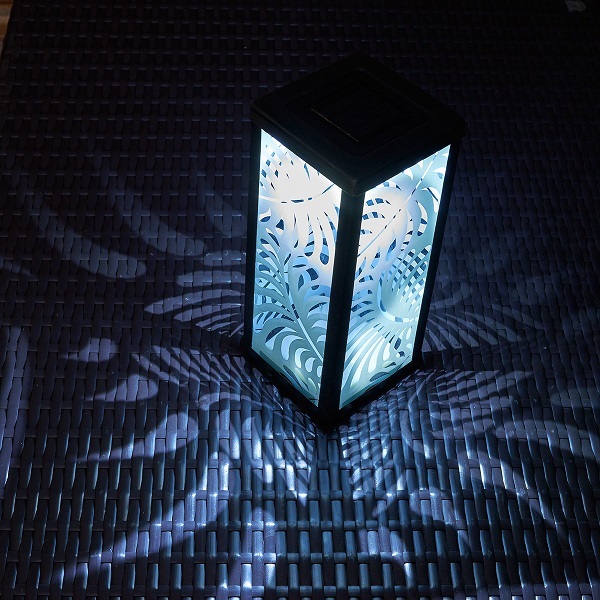 Once illuminated this solar lantern will cast silhouette onto whatever surface it sits on. 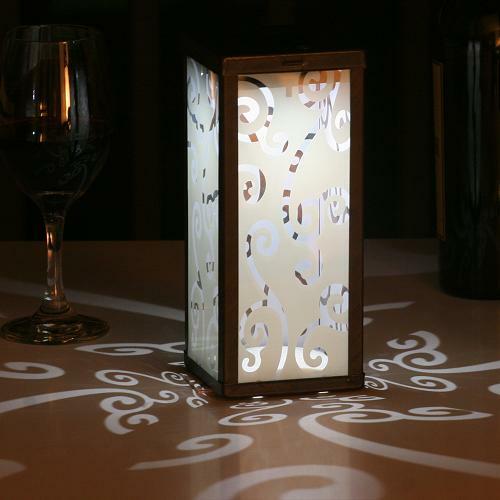 This solar lantern can sit on any flat surface or mounts on a stake to keep it upright in your garden or lawn. 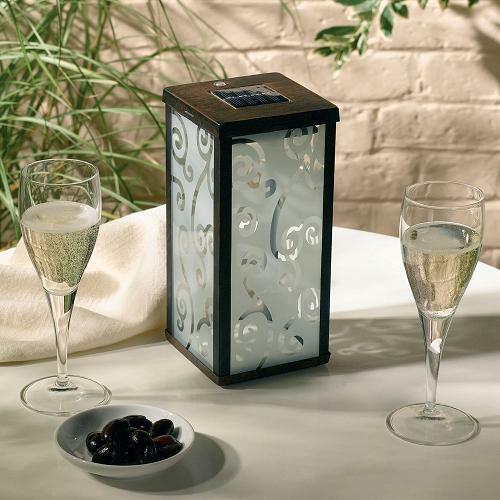 The solar light also includes on/off switch so that you can charge it for a special occasion. Antique finish frame and Frosted glass lense, select from 2 different styles.